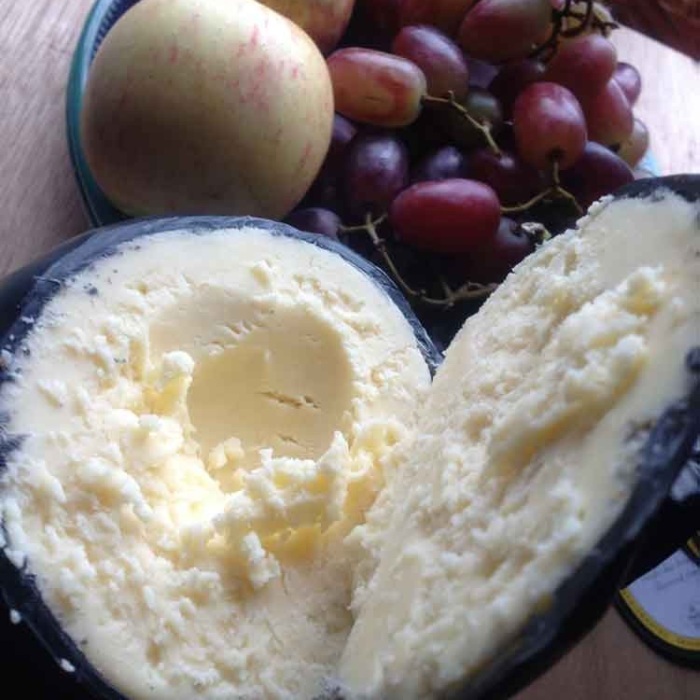 This is our classic famous Lancashire Bomb, wonderful creamy cheese presented in our traditional black wax. The hand made Lancashire Bombs are matured over two years creating a very creamy and full flavoured taste and texture. It can be enjoyed on its own or is superb with some fruit and/or a good red wine. This cheese will keep several months before opening and several weeks in the fridge once opened. Delightful idea and great taste. Delightful idea and great taste. Hurry up and make more,thanks! Bought as a Christmas gift so unable to comment on the taste yet, however it looks spectacular and I am delighted with my purchase.